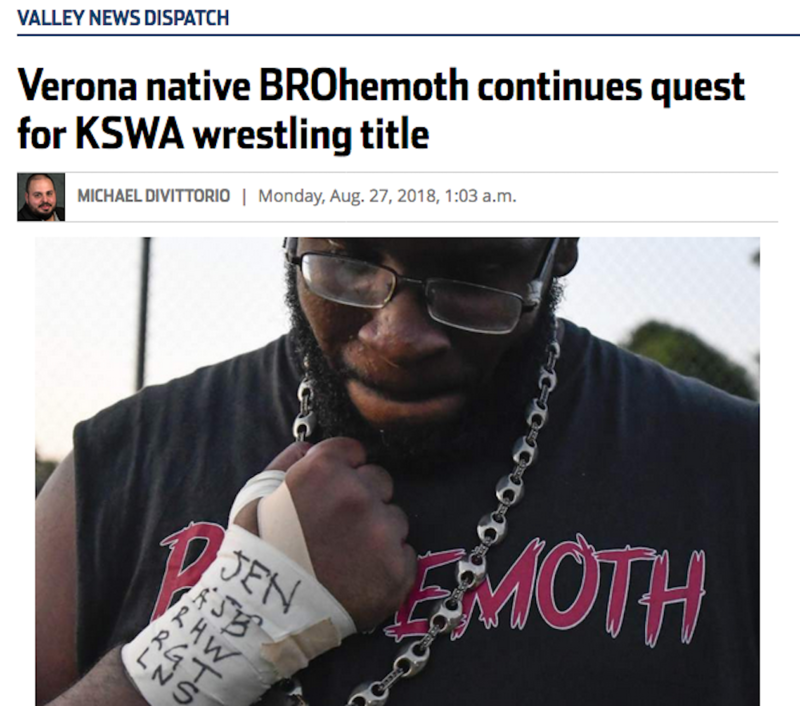 Home / In the News / BROhemoth Featured in Pittsburgh Trib! Riverview graduate Ian Taylor has a reminder of why he wrestles each and every match. He tapes his right wrist and writes down the initials of friends and relatives he’s lost, as well as his three children who cheer him at home. They are Jordan Booth, 8, Ethan Taylor, 3 and Naomi Taylor, 4. “Those who don’t get a chance to see me can be with me,” he said shortly before his entrance music hit and the crowd at Cribbs Field in Verona went crazy on Saturday night. Taylor, 27, of Verona is one of the more popular competitors in the Lawrence­ville-based Keystone State Wrestling Alliance.